The celebrations continue for PeeCee and Nicky. After their roka ceremony, Priyanka Chopra and Nick Jonas hosted an engagement party to which the Quantico star invited family and friends. A delightfully happy Priyanka was seen dancing the night away in a video posted by her fiance. 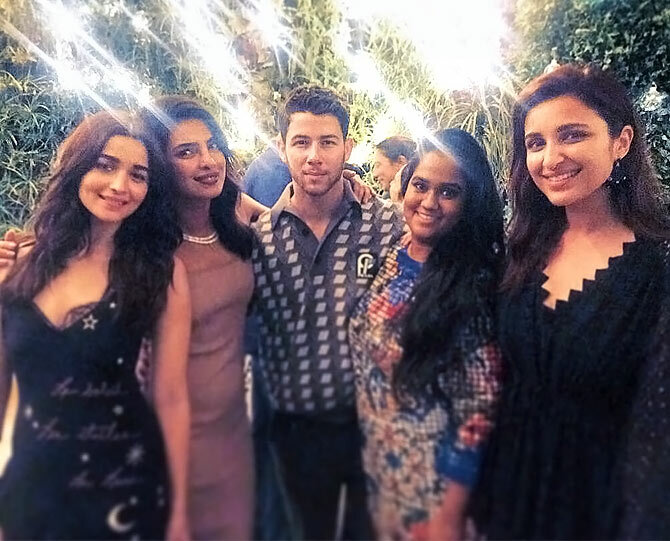 Alia with Priyanka, Nick, Arpita Khan-Sharma and Parineeti Chopra. 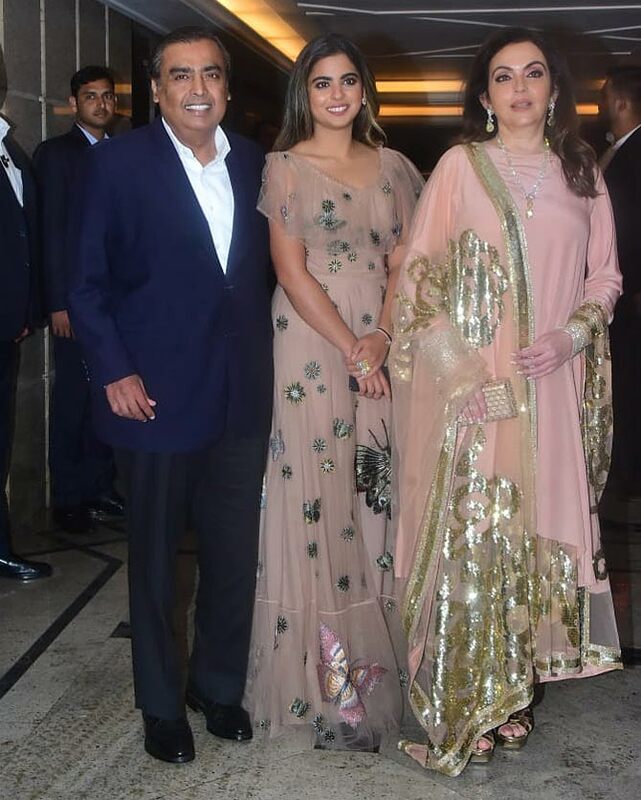 Parineeti stayed close to her Mimi didi during the roka ceremony, and was among the first to arrive for the engagement party in the evening. She wrote a touching message on her Instagram: 'Today, I witnessed magic and a fairytale. 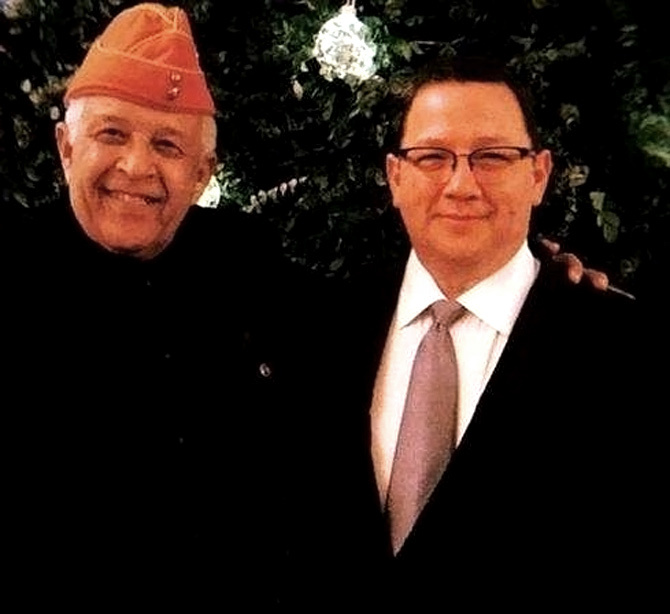 Nick posts a picture of his dad Kevin with Priyanka's uncle, and captions it: 'Bade Papa and Papa Jonas.' Cute!!! 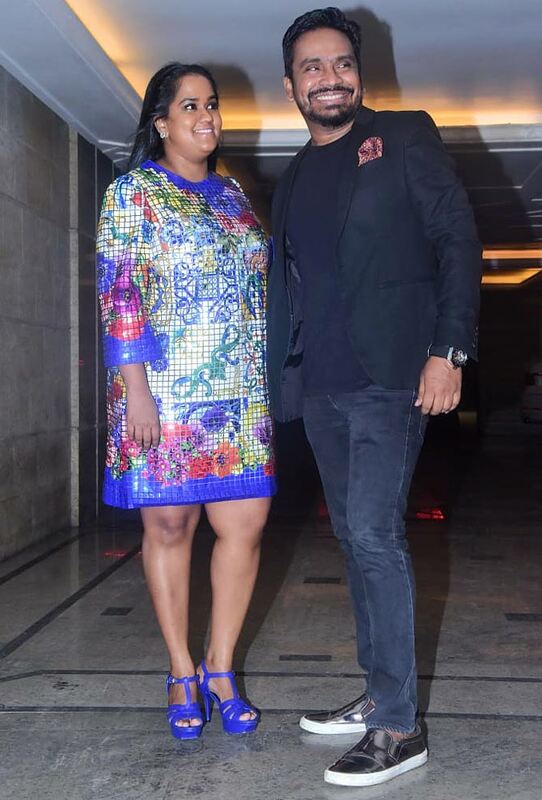 Isn't Priyanka the perfect bahu already? She plants a kiss on Kevin's cheek while Nick kisses his mum Denise. Dr Madhu Chopra, Priyanka's proud mum. 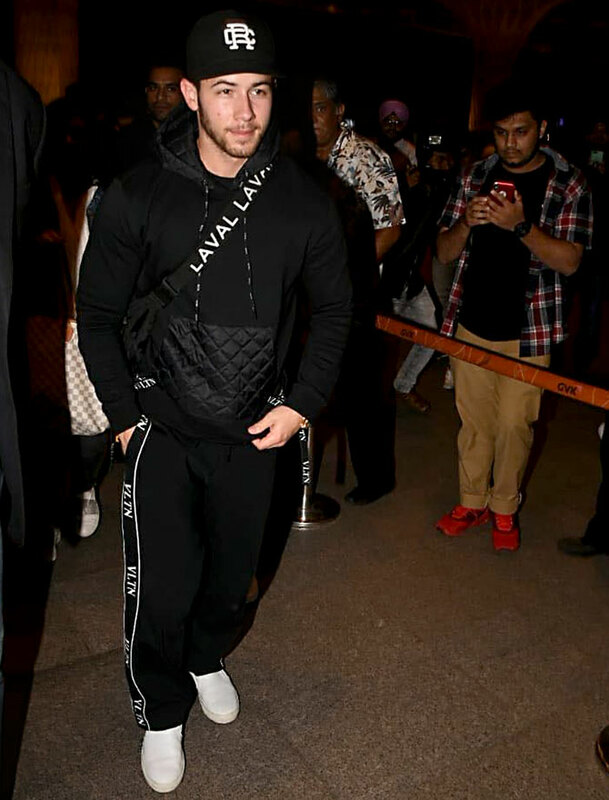 Nick Jonas got his first taste of a high society Mumbai party at the Mukesh and Nita Ambani's son Akash's pre-engagement party with Shloka Mehta in June. 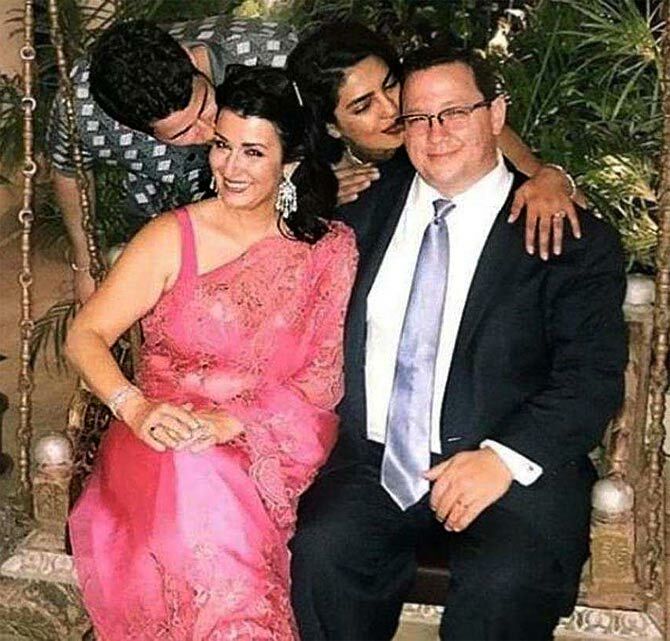 As Nick returns home, we wonder why Alia was the only major movie star at Priyanka's engagement party. 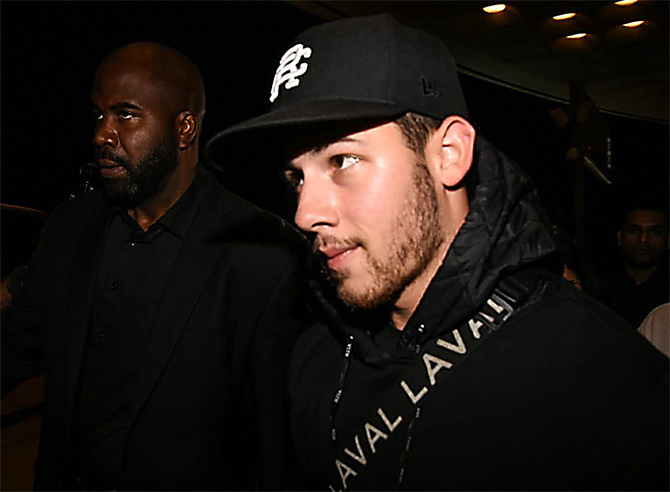 Nick Jonas and his parents Kevin and Denise Jonas flew to the US on Monday, August 20, morning after Saturday's roka ceremony and engagement bash. 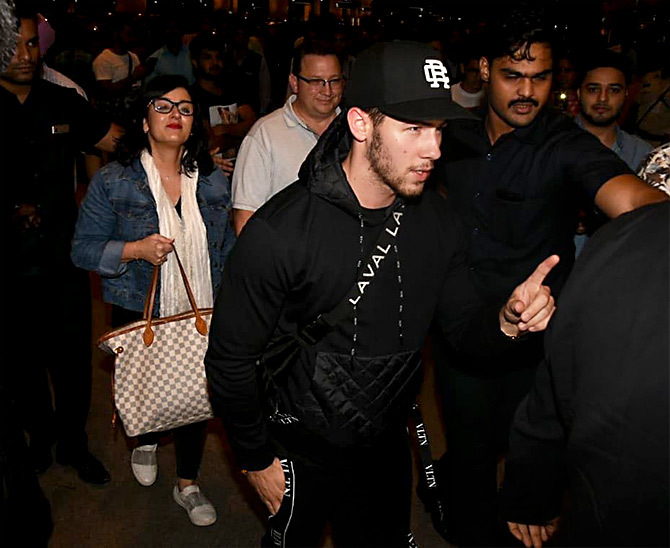 Nick smiled for the paparazzi gathered at Mumbai airport. Intriguingly, as one Bollywood observer noted, the only major movie star at Priyanka and Nick's engagement party appared to be Alia Bhatt. Did the envious other stars give PeeCee's bash a deliberate miss? Or did PeeCee restrict the invitations to genuine friends and well-wishers? SRK, Deepika Padukone, Alia Bhatt and Ranbir Kapoor at a bash! Is That Priyanka Chopra's Engagement Ring ?? ?